Tadam is a menu bar timer app inspired by the Pomodoro task management technique that was developed by Francesco Cirillo in the 1980s. The technique breaks work into discrete time intervals as a means of improving your focus on the task at hand. 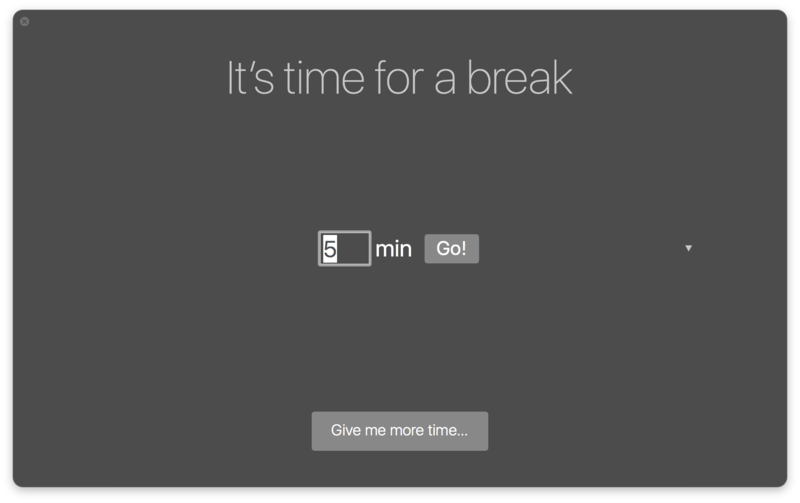 Whether you’re a strict adherent to the methodology or simply need a handy timer that’s easy to access from the menu bar on your Mac, Tadam by developer Radek Pietruszewski is worth a look. The Pomodoro technique breaks tasks into twenty-five minute sprints, after which you take a short break of around five minutes. After four twenty-five minute sessions, you take a longer break. The goal is to minimize interruptions and increase concentration on your to-dos. Tadam shares the Pomodoro technique's elegant simplicity. The app's minimalist circle icon sits in your menu bar. To set a timer, click the icon, enter an amount of time, and click 'Go!' As the timer counts down, Tadam's icon fills in to give you a visual indicator of roughly how much time remains. Alternatively, you can click on the icon to see exactly how much time is left. Tadam can also be used entirely via keyboard shortcuts, which makes it even easier to set up. Click the notification to add more time. As time is about to run out, you get a system notification that you can click to add more time. When time runs out a chime rings and a translucent black window opens to remind you to take a break. When you set a break period, a timer immediately starts counting down. 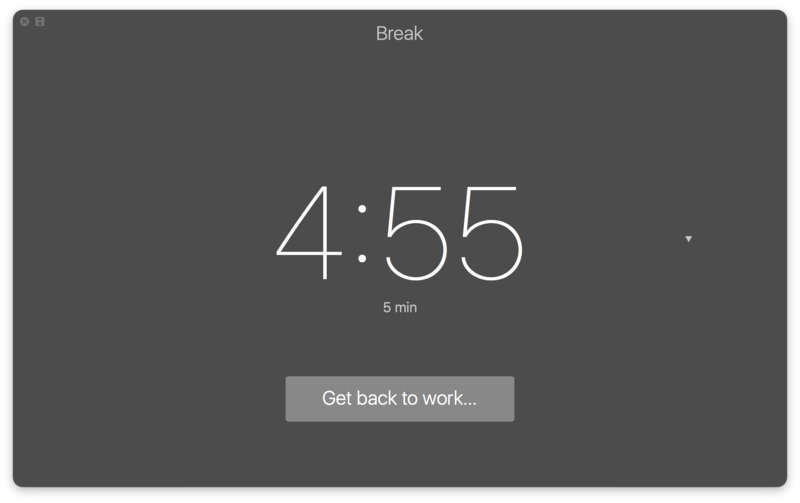 If you move the break window to try to continue working, you'll get thirty seconds to do what you want, after which the break window snaps back to the center of your screen to remind you that you're supposed to be taking a break. 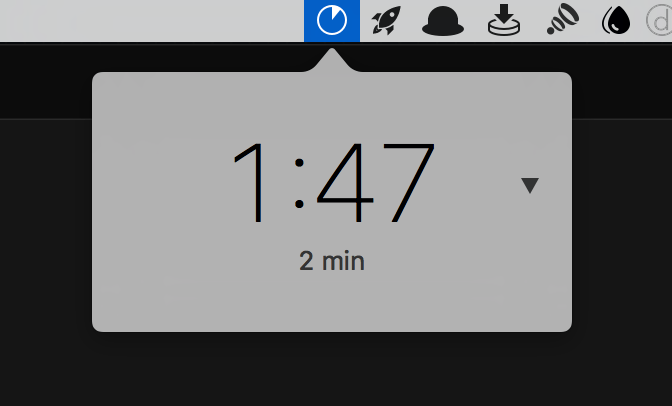 If you need to use your Mac during your break, however, you can shrink the break countdown timer to the corner of the screen. I have had Tadam on my Mac since version 1.0 debuted. I don't use it every day, but when I find myself procrastinating or having a hard time pushing through a particularly difficult project, it can be a lifesaver to set a timer and force myself to work in short sprints, get up, walk around a bit, and then run at the problem again until I’m finished. I've tried other timer and alarm apps with similar features, but what I like best about Tadam is that it strikes a nice balance, providing helpful reminders without nagging too much or getting in the way. Whether you've ever thought about giving the Pomodoro technique a try or just want a nicely designed timer that is always at the ready in your menu bar, Tadam is an excellent option. Tadam 2.0 is available on the Mac App Store for $4.99.